"Everything is instant these days,” the pitch video voice-over intones. “Instant food, instant messaging, instant fame. Don’t think, don’t imagine, just open, use and throw away." SmartWood's oxymoronic name comes from the primary car construction material: wood. 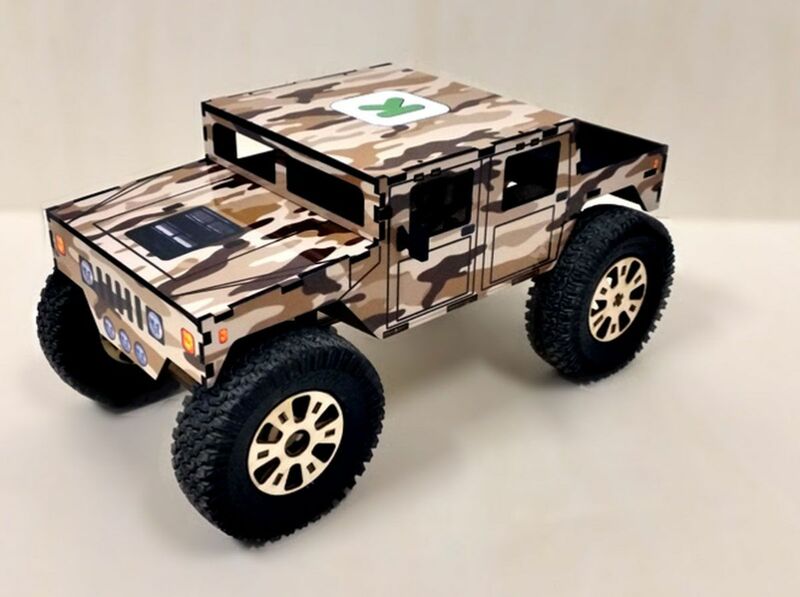 Developers Gil Vismonsky, CEO of Academix Robotix, and engineer and developer Elad Shifman chose plywood for the kit bodies because it’s recyclable and customizable. In the slick and slightly humorous video promoting their Kickstarter campaign, they show the smartphone-controlled vehicles painted in a variety of colors. 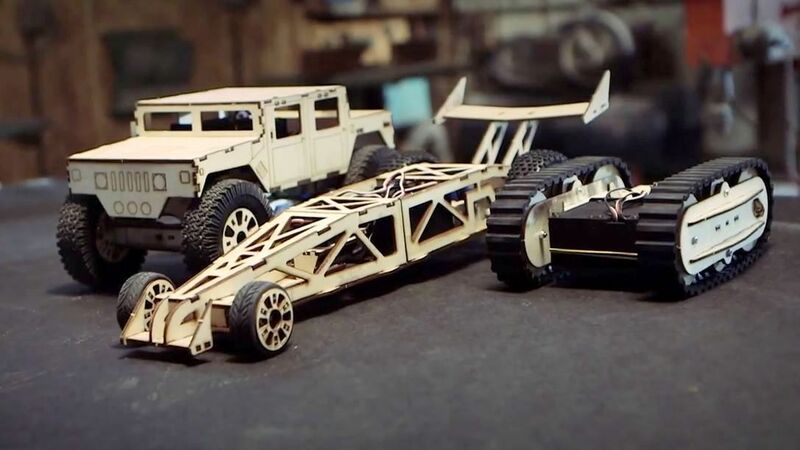 Build options include a 2-foot-long dragster, a Humvee-like army truck and a crawler They all start as kits that include laser-cut plywood templates, wheels, screws (but not the necessary glue), motors and a tiny, programmable Arduino motherboard that acts as the heart and mind of the cars. Each kit, which builds one RC vehicle, comes with assembly instructions that, the developers promise, a 6 year old could follow. The remote control software runs on Android and iOS smartphones. Prices will range from $49 for the minibot to $109 for the truck. Designed as a learning tool, SmartWood can, according to the developers, be as simple or complex as you want. The robots are plug and play (once you’ve plugged the wires into the right ports and installed the software on your mobile device), but the open-source Arduino board can also accept programming. The team is also planning some vehicle add-ons like an optional arm for climbing and a camera. SmartWood would join a long list of educationally focused robot kits that includes Smart Car Robotics from Thames and Kosmos and the more powerful, extensible and expensive ($349) LEGO Mindstorms Ev3, which ships with extensive instructions, a wide variety of sensors and enough parts to build a variety of robots. The Kickstarter campaign for SmartWood kicks off on Wednesday, and the developers have 60 days to reach their goal. They hope to ship before the end of 2014.